4 days | From 7695RMB/pers. Situated on China's south coast and enclosed by the Pearl River Delta and South China Sea, Hongkong is renowned for its skyline and harbour. Hongkong is the perfect place for shopping, but you can also visit The Peak, Victoria Harbour and the Giant Buddha. 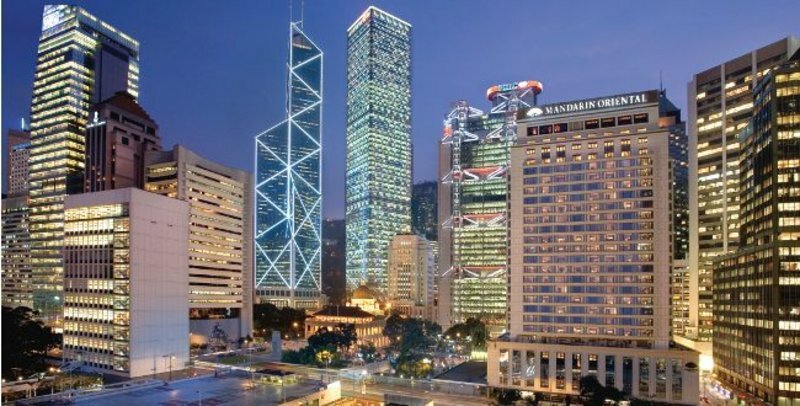 Conveniently located on Connaught Road in the heart of the city, Mandarin Oriental, Hong Kong is surrounded by the most exclusive shopping, dining and nightlife that this vibrant destination has to offer. The hotel is a stone’s throw from the Star Ferry and the MTR (underground station) so navigating is no challenge. Easy airport access is on offer with the Airport Express Link Hong Kong Station (where city check-in is available) minutes away and the limousine journey is just thirty-five minutes.